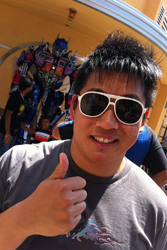 Universal Studios in Hollywood is one of the coolest theme parks ever. Not only is it built on an actual working movie and TV production lot (that you get to take an epic guided tram tour of), but it’s got awesome rides and characters from your favorite movies running around everywhere. 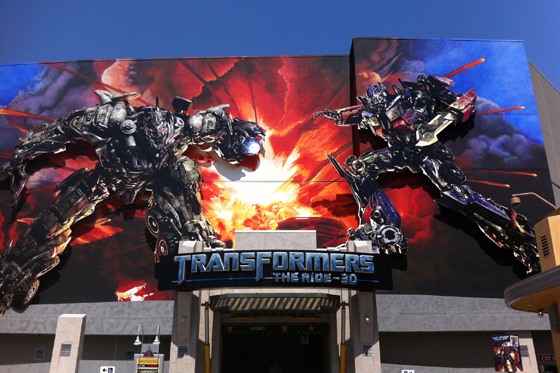 One of the projects N helped on this past year was the new “Transformers: The Ride – 3D” attraction at the park. 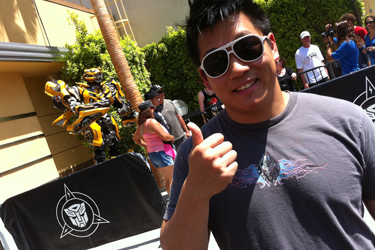 I have loved the Transformers since I was a kid, and though these new ones are pretty different than the originals, I was still super stoked to be able to experience them up close and personal at Universal. Even when we got to LAX, we could tell people were excited about it. We went directly from the airport to Universal. Yeah! 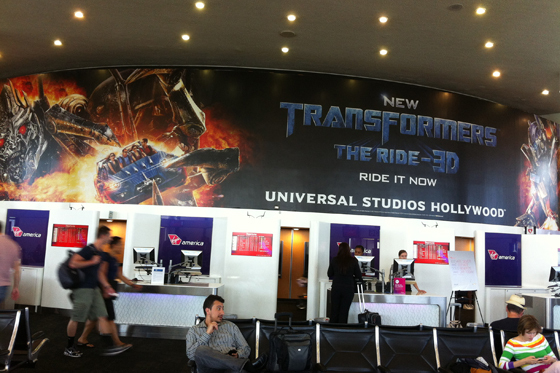 And directly from the entrance of the park to Transformers: The Ride. Because that’s how we roll. Ha ha ha! 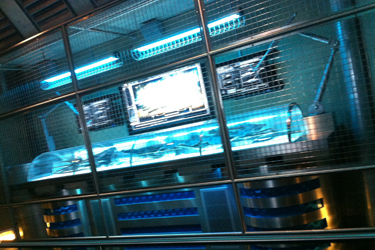 The entrance to the ride is set up kind of like a military bunker. 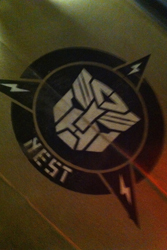 Ooh, Transformers “artifacts” … this is a NEST base! 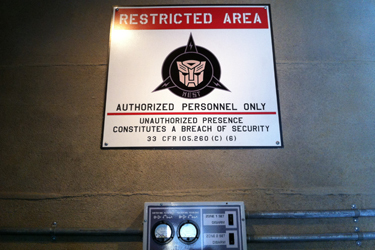 Entering a restricted area! Also, don’t steal our glasses. This ride was SO FUN. Because we lucked out and came right after kids have gone back to school, we didn’t have to wait in line – and after exiting the first time, just went right back and rode it again. There were even some familiar faces outside the ride – we didn’t feel like waiting in the long lines to get too close, but grabbed a few quick shots. 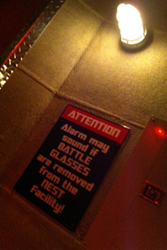 Like I said before, Universal Studios is a fantastic park. 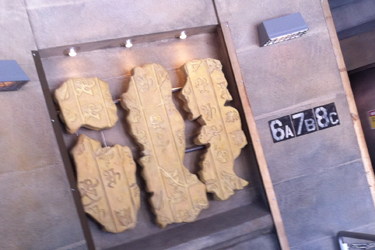 If you haven’t been, you need to go. 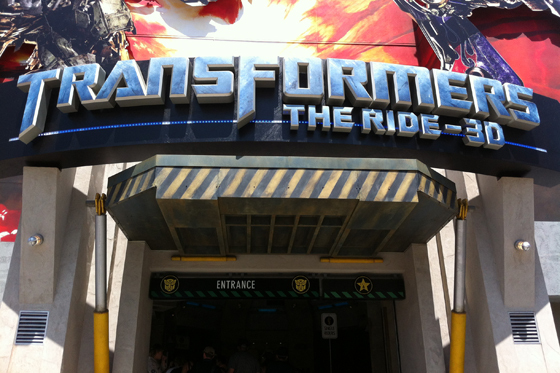 And ride the Transformers ride. 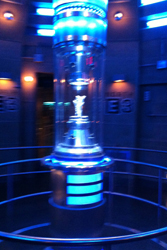 Help save the AllSpark!